As I was growing up it was always a tradition in my home to have a nice big family breakfast on a weekend - Saturday or Sunday morning (sometimes both). I remember as a child I'd always look forward to our weekend breakfasts. It was much nicer than simply have cereal in the mornings (which was nice), but associated with quick school morning breakfasts. Now my little one has started school for the very first time (just last week), I'm keen to carry on this family tradition with my own family. So the big weekend breakfast mornings have begun. I rustled this omelette up very quickly on Sunday morning and it went down a treat with everyone. Protein-rich, full of yummy fresh vegetables and a little spice for extra flavour. 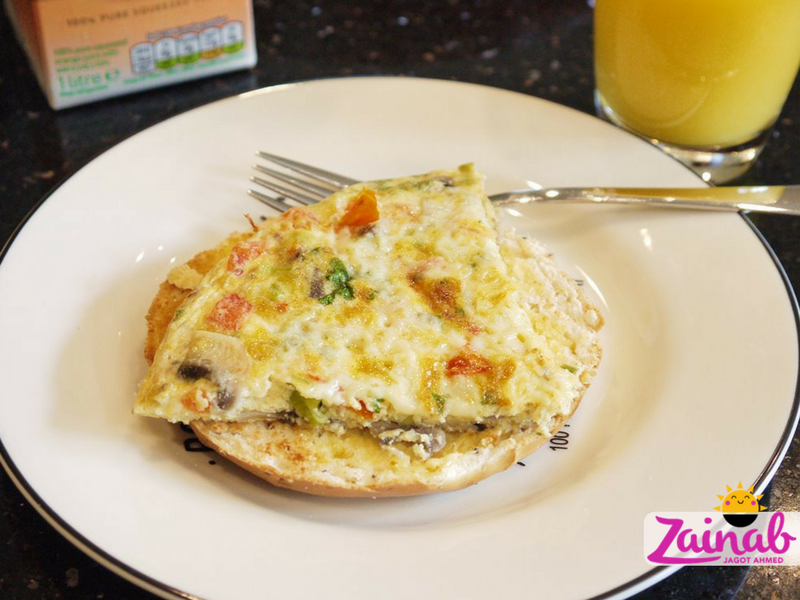 This omelette is great for the whole family including babies and toddlers, particularly for baby-led weaning. It's healthy and the best part - it's a one-pot (or one-pan in this case) family meal which means less pots to wash (hassle-free)! It also makes a fab healthy breakfast for those searching for satisfying and tasty carb-free meals, so it ticks a lot of boxes! Here's the recipe - enjoy! Serves a family of 4. Total preparation and cooking time: 15 mins. Heat a little oil in a non-stick frying pan and add the mushrooms, spring onions, tomatoes and stir. Whilst the mushrooms are softening, crack the eggs in a bowl, add the salt (if using), black pepper and garam masala and whisk until combined. 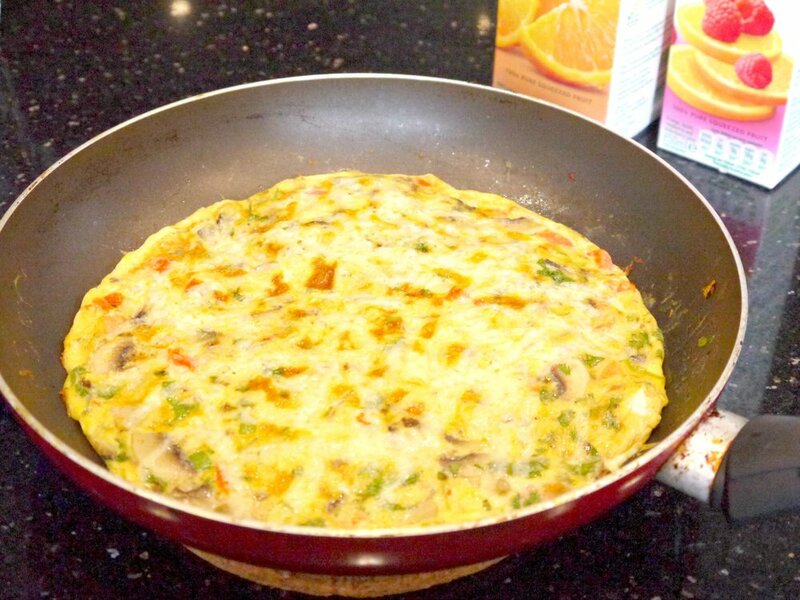 Once the mushrooms have softened give the vegetables a good stir and pour the whisked eggs over the top, and sprinkle over the fresh coriander. Allow to cook on low heat for a few minutes until the bottom is cooked and the top is slightly runny. Then sprinkle over the cheese and pop the frying pan under a pre-heated grill to finish cooking and to give the omelette a lovely golden brown top. Serve with roti, toast or bagels. Tweaks for baby-led weaning - do not include any salt and serve the omelette to baby in strips for easy picking. 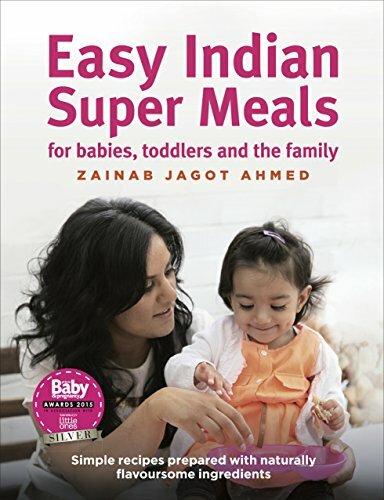 You can find more delicious baby-led weaning recipes and family recipes in 'Easy Indian SuperMeals for Babies, Toddlers and the Family' available to buy now from Amazon. 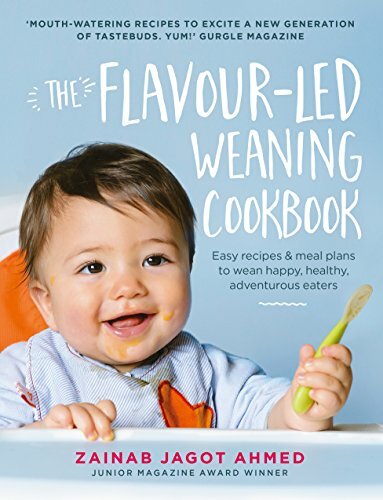 Prima Baby Awards 2015 silver award-winner - best family cookbook.